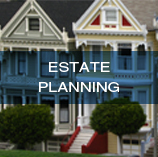 The Law Offices of Laurence A. Blau specializes in estate planning, trust and probate law. These areas deal with the passing of one's property from one generation to the next. Therefore, it is important to find an advisor who is knowledgable, dedicated and experienced in this complex area of the law. The Law Offices of Laurence A. Blau work closely with our clients as often people are reluctant to begin this process as it forces them to acknowledge their own mortality. Our job is to help you obtain your specific goals in the most efficient and cost effective method possible. 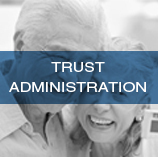 Please contact our office for a complimentary consultation to see how we can help you. 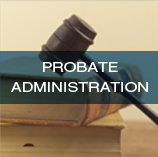 Our mission is to provide our clients with the most comprehensive, creative and cost efficient solution to their estate planning and estate administration needs. All clients have individual plans crafted for their unique circumstances and objectives. I know that I’m working to ensure that the future of the people and things you care about the most are protected. I’ll explain all of your options to ensure that the future of your estate is in sync with your goals and intentions.